Review: Robin Hood and The Babes In The Wood. Nottingham Playhouse. – East Midlands Theatre. Review: Robin Hood and The Babes In The Wood. Nottingham Playhouse. 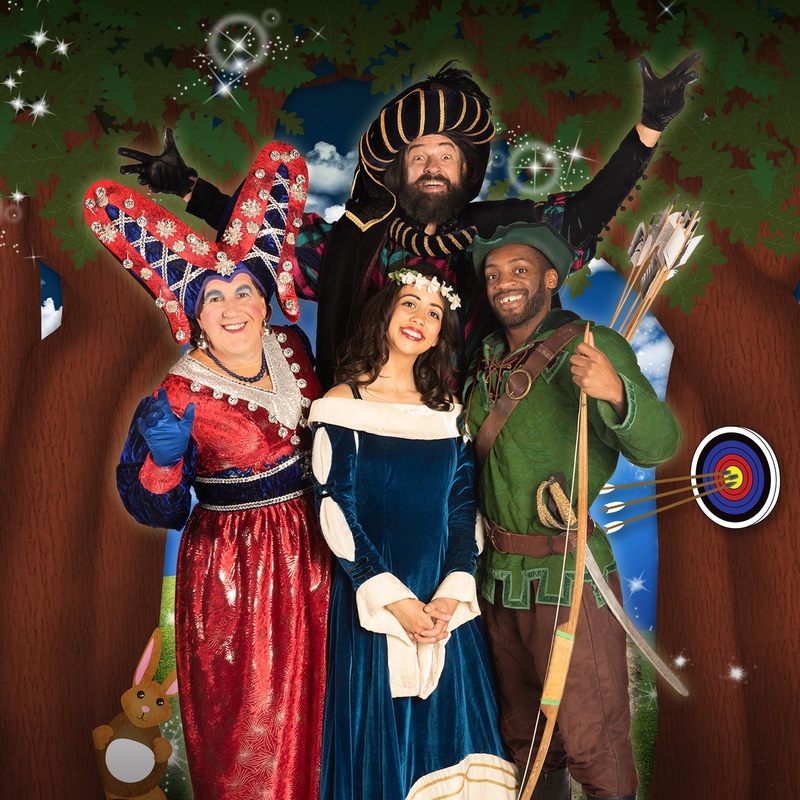 This year’s pantomime at Nottingham Playhouse is Robin Hood and The Babes In The Wood. It aims to delight audiences with a great festive and fun time and is smack bang on target! 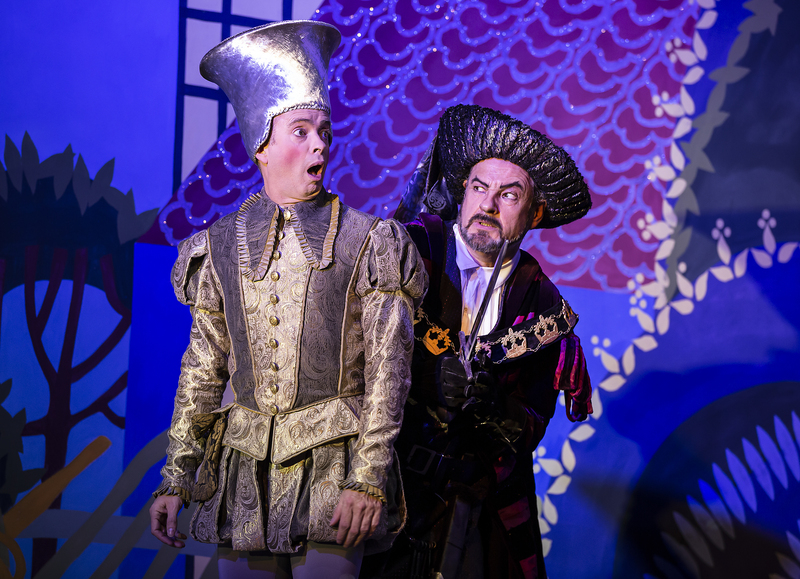 For Nottingham Playhouse pantomime audiences new and old, writer and director Kenneth Alan Taylor always gets it spot on panto perfect and this year’s offering could well be his best so far. 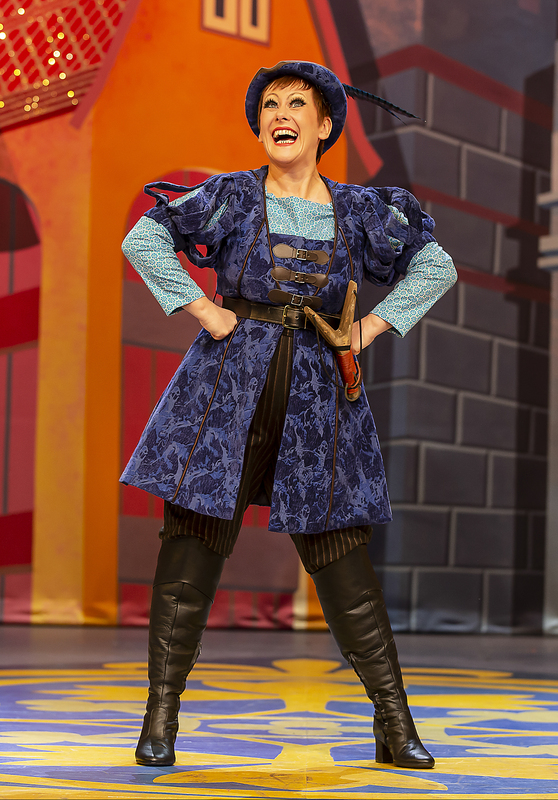 The pantomime cast at Nottingham Playhouse has many familiar faces like John Elkington, Kelly Agredo, Rebecca Little, Tim Frater, Darren Southworth, and Kelly Edwards. A few have re-joined from last year’s pantomime like Adam Pettigrew and Kinden Singh Uppal and this year we are entertained by two new faces Clarice Julianda and Robin Kingsland. What a glitteringly energetic and talented cast! 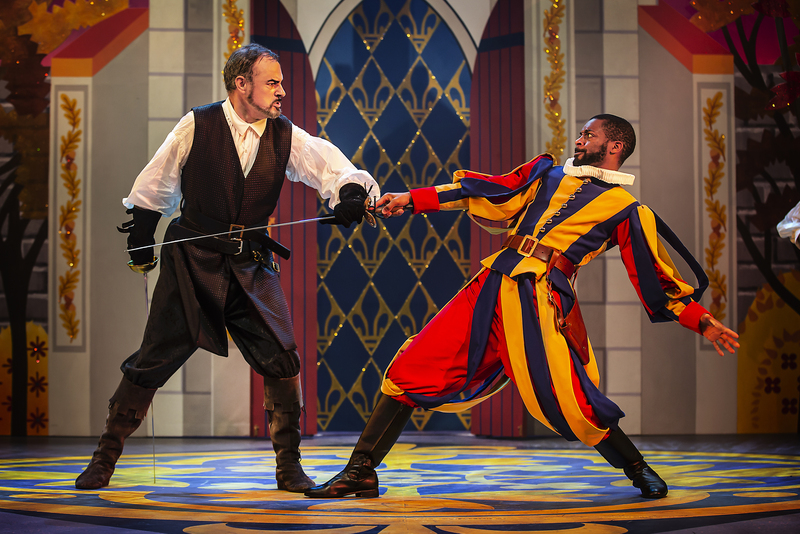 Right from the curtain up the dancing chorus are on and the hilarious Darren Southwark (Arnold) is trying to collect taxes on behalf of the local bad boy – The Sheriff of Nottingham beautifully played, tongue in bearded cheek, by pantomime virgin Robin Kingsland. Southwark and Kingsland are a fantastic pairing as Arnold and The Sheriff of Nottingham. 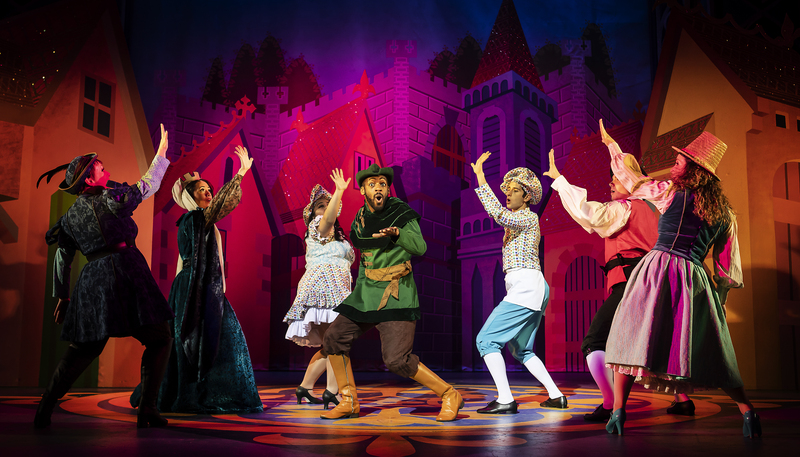 On hearing those last declarative words the audience are fully encouraged by Tim Frater as the charismatic and lithe panto style Robin Hood, to shout “Oh No! 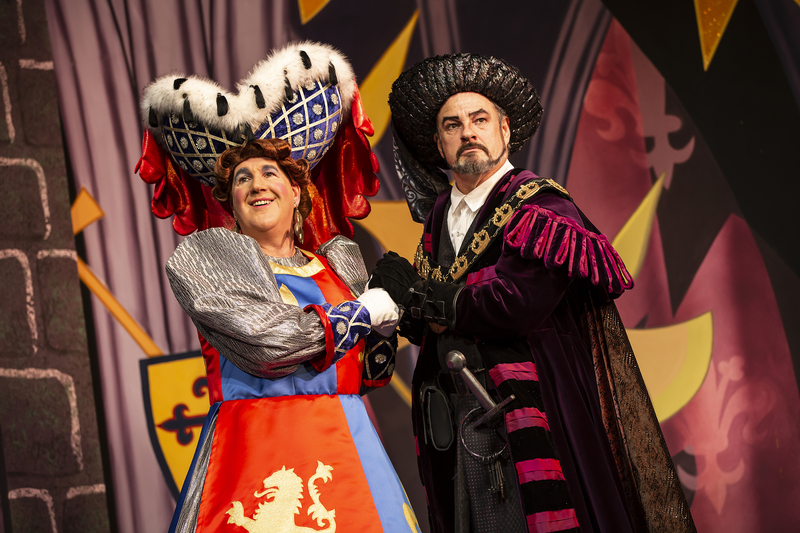 Not The Sheriff of Nottingham!” And we love every moment of engagement with the performers. 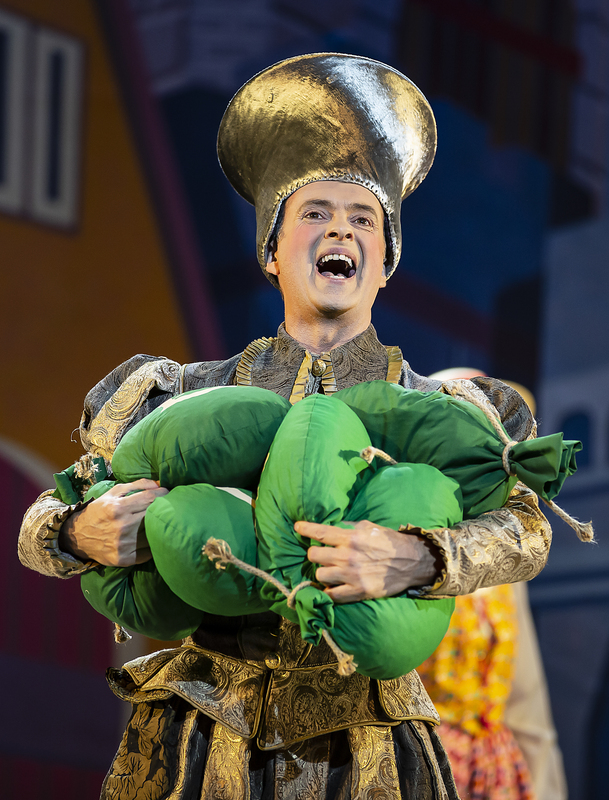 Truly that is what Nottingham Playhouse pantomimes are all about – fun and festive familiarity for all the family. Robin Hood and The Babes In The Wood is non stop fun with wonderful set designs (Tim Meacock), superb lighting by Jason Taylor and musically directed and conducted by the charming John Morton with his four piece band. With a sound design sharper than Robin’s sword we can thank the audio talents of Adam P McCready for Poetical Machines Ltd. The top class choreography is achieved through the talents of Adele Parry and the fight scenes are created by fight director Philip d’Orléans. If you are planning to see this year’s pantomime at Nottingham Playhouse you can rest assured of a great time with usual fabulous feast of silly jokes, prat falls, big song and dance numbers, plenty of glitz and glamour, and just a ‘few’ subtle mentions of the pantomime sponsors Nottingham City Transport. 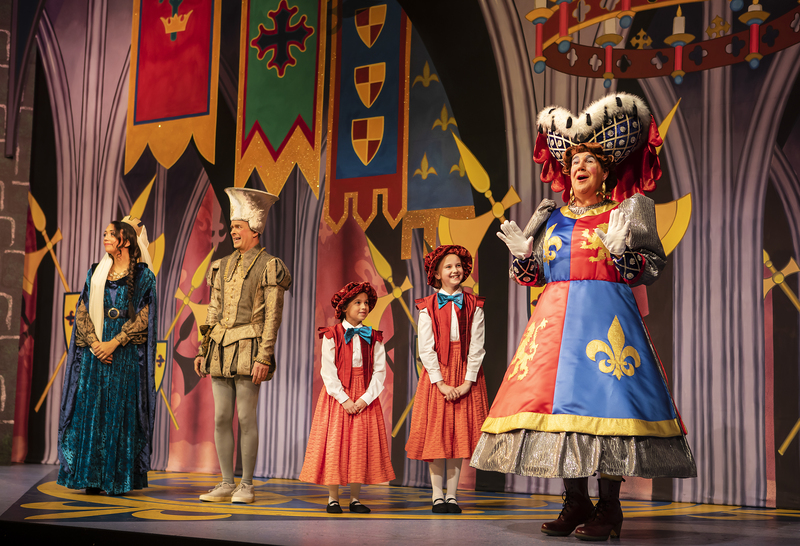 The bright and colourful sets that take us from Nottingham Town Square to Nottingham Castle and Sherwood Forest are superbly made in the high quality pantomime designs we have come to expect from Nottingham Playhouse and their inhouse creative departments. Things get amusingly complex with the kidnap and naughty throat slitting death threats against two babes confidently played on press night by Blaize Bondswell and Felix Findley. 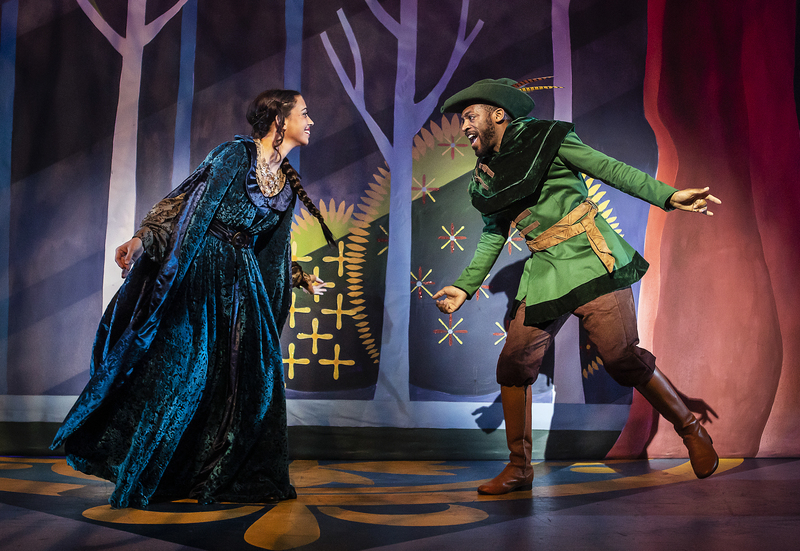 Robin Hood and The Babes In The Wood runs at Nottingham Playhouse until Saturday 19th January 2019. Phil Lowe is a professional member of UK Theatre. Promo: Announcement of full cast of Matthew Bourne’s Romeo and Juliet ballet.